Gavilan College and EOPS welcome Foster Youth! Are you currently, or have you been, in foster care? 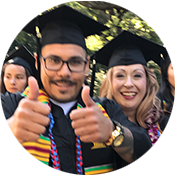 At Gavilan College, we are committed to providing our Foster Youth with the level of services and support they need. Through our partnership with campus staff and resources, we can help you develop an academic, career, and personal plan that will help you achieve your lifelong goals. Schedule an appointment to meet with a Foster Youth Counselor. Your counselor will review your placement test results and help you register for classes. As a Foster Youth, you may be eligible for early registration (Pre-Priority Level 1). Since many classes are only offered at limited times, having priority registration allows you to select the days and times that work for your schedule. If you are a single parent and eligible for EOPS, you may qualify for additional benefits and services through the Cooperative Agencies Resources for Education (CARE). 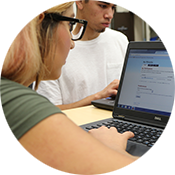 If you need help with writing or math, you can visit the Gavilan Writing Center or Math Lab. If you need help with homework, the Tutoring Center has tutors that can help you in a number of subjects. If you have a disability, you can work with the DRC to identify the support services that will work for you. If you are looking for ways to improve your study habits or need help with time or stress management, attend a Student Success Workshop or access online workshops through your myGAV account.